Crowdfunding sites raised $3.9 billion in 2013, $9.5 billion in 2014, and over $17 billion in 2015. Crowdfunding can be a great way to launch your book (or relaunch it). Raising money via crowdfunding is simply a way to launch and sell your book and accompanying products and services (used as bonuses). 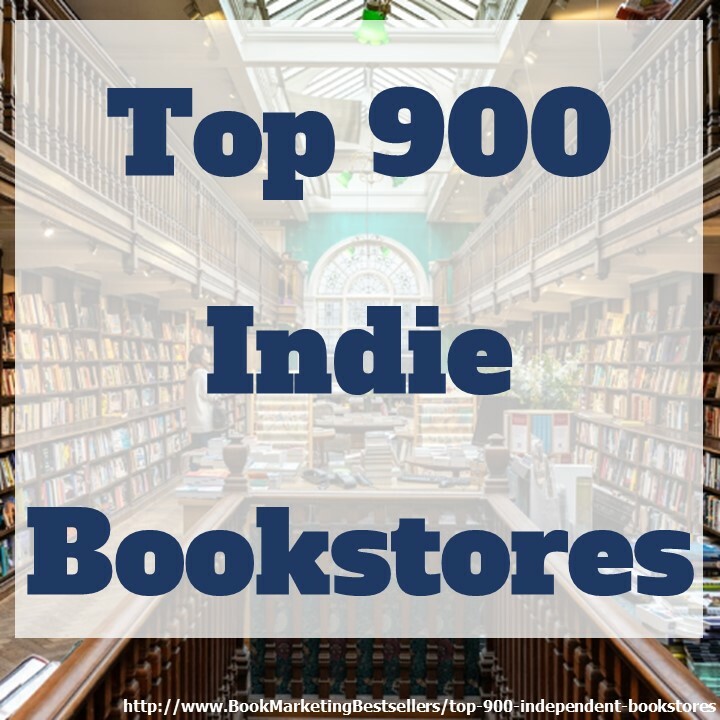 It’s also a great way to build awareness, publicize your upcoming books or launches, get more social shares, and market test new book ideas. Crowdfunding sites in North America raised $3.9 billion in 2013 and $9.5 billion in 2014 (Massolution). They are projected to raise over $17 billion in 2015. The authors of the Valor comic anthology raised almost $110,000 via crowdfunding to publish their series. Crowdfunding, of course, isn’t free. Most sites charge a 5% fee plus 3% payment processing. And, of course, you have to give the people who fund you the gifts or bonuses you promised them for whatever level of funding they provide to you. The key crowdfunding websites used by book authors are Crowd Supply, IndieGoGo, Inkshares, Kickstarter (creative projects), Patreon, Publishizer, Unglue.it, and Upspringer. 64 Crowdfunding Websites for Books and Authors: PubSlush, Upspringer, Kickstarter, IndieGoGo, etc. For some key tips on how to create and run a successful crowdfunding campaign, click here: https://bookmarketingbestsellers.com/11-keys-to-crowdfunding-success. Below is a list of key crowdfunding, equity funding, crowdvesting, peer to peer lending, and social product development sites. Adopt Together — Allows people to raise money for adoption expenses. Alexa traffic: 1,418,356. AgFunder — A marketplace for agricultural and ag tech startups looking to raise investment capital from accredited investors. Alexa traffic: 622,626. TruLeaf raised over $1.2 million for its Smart Plant Systems. AngelList — This site works in four ways: find a startup job, post a job, raise money online, or invest in startups. Raise money with investor syndicates, anything from $1,000 to $10 million. 30,000 investors have helped 200,000 startups. Startups pay nothing to raise money via syndicates. Investors cover setup costs and pay carried interest usually 10-20%. To syndicate part or all of your round online, you’ll need a commitment from an investor with a syndicate. View our list of syndicates or apply to be introduced to lead investors. They raised $104 million in 2014 (Inc.). Alexa traffic: 2,686. Oz Alon raised $1 million in additional funds for HoneyBook, an online platform for event planners, via AngelList. Buzzbnk — Buzzbnk is an on-line crowd-funding platform bringing social ventures looking for start-up or growth capital together with like-minded people keen to participate in a new way of funding social change. It’s a whole new way to do good with your money. Raise money for social enterprises: businesses that trade to tackle social problems, improve communities, people’s life chances, or the environment. This UK-based site has raised £998,423 for 126 projects with 6,295 supports. Alexa traffic: 2,254,931. Causes — Causes is the place to discover, support and organize campaigns, fundraisers, and petitions around the issues that impact you and your community. Causes can include human rights, disaster relief, education, etc. Alexa traffic: 27,493. By building a passionate audience around social, political and cultural issues, our members can collaborate quickly and effectively on solutions to today’s toughest problems. And with built-in communities of support, no campaign starts from scratch. Cause Vox — Provides crowd fundraising websites for nonprofits and social good projects. You can pay $49 per month plus 4.25% to raise an unlimited amount of money for multiple fundraising projects. Alexa traffic: 167,510. CircleUp — They raise up to $1.5 million for consumer product companies and brands like Hylete, Rhythm Superfoods, and Bhakti Chai. Companies with at least half a million in annual revenue can apply to be listed with their accredited investors. Products could end up being showcased with CircleUp partners like General Mills and Procter & Gamble. A leader in equity-based crowdfunding, CircleUp focuses on angel investments in consumer products companies. They raised $40 million in 2014 (Inc.). Alexa traffic: 98,805. SmartyPants raised $4.8 million via CircleUp. Crowd Cube — The world’s leading investment crowdfunding platform. We enable anyone to invest alongside professional investors in start-up, early stage and growth businesses through equity, debt and investment fund options. Join the 200,000-strong crowd looking for more interesting investments – it’s free, quick and has no obligations. Alexa traffic: 38,051. Crowd Funder — A fundraising investing website for game-changing entrepreneurs. Raise capital investments from $300,000 to $9,000,000. Alexa traffic: 80,548. Crowd Pledge — Designed to support entrepreneurs in arts & culture, education, entrepreneurial, environment, food, health, human rights, politics, religion, social media, and technology. CrowdPledge.com is a crowd funding site focusing on putting money in the hands of motivated entrepreneurs in emerging markets around the world. We’ve all heard of the successes of entrepreneurs in developed countries such as the US that have access to billions of dollars in the private equity and venture capital markets. Now it’s time for entrepreneurs in emerging markets to have the same chance at starting and growing a successful business by giving them access to capital once only available to those lucky enough to live in developed countries. CrowdPledge.com is the gateway to this capital. Alexa traffic: too new to rank. Crowd Rise — The world’s #1 fundraising site for medical bills, volunteer trips, amazing and fun causes, and over 1.5 million charities. Trusted and used by UNICEF, Red Cross, Boston Marathon, and more. Raised $180 million in 2014 (Inc.). Alexa traffic: 21,504. Crowd Supply — Crowd Supply is based on a single guiding principle: to be the product development platform we’d want to use for our own projects. As engineers and designers, we know the challenges of going from idea to reality, and all the important details in between. We built Crowd Supply from the ground up to handle as many of those details as possible so you can focus on your vision. Alexa: 211,036. Portland Made: The Makers of Portland’s Manufacturing Renaissance raised over $11,000. The campaign is still going on as I write this. You can still donate here: https://www.crowdsupply.com/portland-made/book. A Weather Walked In photography book about the Vietnam War raised $22,460 from 352 pledges. Crowdy House — Allows users to buy directly from the world’s best designers and makers: Similar to a crowdfunding platform, it takes it to a different level. Not only are people just investors, they’re also buyers. The money that is invested goes towards production, and investors will immediately get the product they helped design. Essentially, the customer decides what goes into production by investing. At the same time, more of the wholesale price goes back to the designer. Alexa traffic: 193,138. Donors Choose — Designed to raise funds for school teachers, their students, and local or national public school projects. Alexa traffic: 35,071. Early Shares — EarlyShares is the trusted real estate crowdfunding platform that connects accredited investors to vetted, return-driven commercial real estate investments. Alexa traffic: 547,452. EquityEats — EquityEats helps chefs open restaurants with more money and loyal customers. Now, restaurants and bars using the service will no longer offer equity in their businesses to non-accredited investors. Instead, individuals who don’t make $200,000 a year or have a net worth of at least $1 million to qualify as accredited investors will receive food and beverage credit for the full amount of their investments, which can range between $100 to $5,000. They’ll also get a 20 percent return each year in the form of dining credit, regardless of how profitable the restaurant is. Alexa traffic: 2,928,083. Experiment — Focuses on helping ideas grow, especially for researchers and scientists. Their motto: Help fund the next wave of scientific research. Alexa traffic: 234,839. Facebook Fundraising — Facebook allows you to create a fundraising program for a nonprofit organization you want to support as well as personal fundraisers either for yourself or for a friend (or family member). 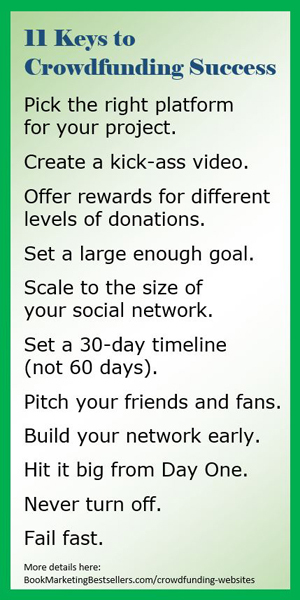 Facebook gives you tips to help you reach your goal, makes it easy to connect with your friends and fans, and allows people to donate without ever leaving Facebook (a perennial goal of Facebook). The fee for nonprofit fundraising is 5% to 5,75% while the fee for personal fundraising is 6.9% plus $.30. If you create a fundraiser for yourself or someone else on Facebook, all donations are sent to the fundraiser creator’s personal checking account through Stripe, Facebook’s fundraising payment processor. Fortua — Helps people raise funds and access resources for outdoor, adventure, and active lifestyle endeavors. With Fortua you can crowdfund your athletic pursuit, outdoor expedition, gear idea, fitness tech idea, event idea, nature retreat, charitable fundraiser, documentary film and more! Here’s how it works: Campaign creators run campaigns on Fortua to make their endeavors happen (or to raise funds for charity). Backers support campaign creators by making financial or non-financial (e.g. gear, supplies, expertise, volunteer time) contributions to their campaigns. In exchange for support, campaign creators share their insights and experiences with their backers as their endeavor unfolds, and they can also thank their backers with rewards (or perks) at the end of their endeavor. Alexa traffic: 1,687,070. Pursuits: action sports, adventure travel, endurance sports, exploration, discovery, fitness, active lifestyle, treks, hikes, and retreats. Projects: film, video, photography, publishing, gear, clothing, nutrition, gyms, rehab, events, trails, parks, camps, outreach, community gardens, sustainability, and conservation. Fundable — Crowdfunding for businesses. They have raised $204 million for startup businesses. Alexa traffic: 90,144. FundersClub — A funding option for startups that helps businesses get funding. Alexa traffic: 186,119 in May 2016. FundersClub makes it easy for accredited investors to diversify their portfolios with insider access to the world’s most promising startups. We focus on the best practices of venture capital – driving returns, not volume. Gain access to, review, and invest in the most promising startups via our web and mobile-enabled startup investing platform. After investing, keep up to date with news, updates, and portfolio analysis features. Easily diversify your portfolio with low minimums. Fundly — Fundly allows anyone to raise money for charity, schools, education, medical needs, clubs, fraternities/sororities, funerals, memorials, pets, military, politics, trips, adventures, and more. Alexa traffic: 78,890 in April 2016. Every fundraising page has a video and photo gallery that’s front and center. Add your content from YouTube, Vimeo, Facebook or your computer and create an interactive slideshow to showcase your cause. With over 40% of campaigns being viewed on phones, we designed your campaign to look great on mobile browsers, making it easy for your visitors to absorb your story and make donations. Fundly’s industry leading Facebook OpenGraph integration automatically broadcasts key campaign activity. Turn it way up to maximize your overall social impressions or dial it back – we’ve done all the hard work, you just set it and forget it. There is no minimum amount to raise in order to keep your funds. Payments are processed quickly and can usually be withdrawn in 24-48 hours of the donation. Automatic transfers can also be configured to further speed things up. FundRazr — Raise money for causes close to your heart. Use it for personal causes (education, travel, legal issues, family emergencies), animal rescue, memorials and funerals, or health and medical expenses. FundRazr is a crowdfunding solution that is laser-focused on eliminating the guesswork of raising money online for your campaign. Our thoughtful technology and expert social media guidance make telling your powerful story easy; sharing it with the widest community simple; and collecting the money worry-free. Alexa traffic: 65,086. Give Forward — Allows people to raise funds for loved ones (health expenses, etc.). Over $172 million has been raised so far. Alexa traffic: 37,629. GoFundMe — Crowdfunding to help people raise money for personal reasons (health needs, hospital bills, travel, vacations, etc.) as well as for education and humanitarian efforts. Based in San Diego. Founded in 2010. The world’s #1 fundraising site for personal causes and life-events. Hundreds of thousands of people have raised over $1.3 Billion from 16M donors for the things that matter to them most. Raised $470 million in 2014 and more than $1 billion since 2010 (Inc.). Alexa traffic: 907. Over $800,000 was raised for Boston Marathon bombing victim Jeff Bauman. Herox — Enables anyone, anywhere in the world, to create a challenge that addresses any problem or opportunity, build a community around that challenge and activate the circumstances that can lead to a breakthrough innovation. Motto: The movement of problem solvers, misfit thinkers, and crazy dreamers. Alexa traffic: 200,557. Homestrings — An investment platform that facilitates Diaspora and impact-investing to make a difference in the world. It has raised around $25 million for projects since launching in 2011. Alexa traffic: 1,260,915. IndieGoGo — More open to more projects than Kickstarter (including charitable projects). You can sign up for Flexible Funding where you can receive the money raised even if you don’t reach your funding goal. More than 300,000 individuals, businesses, and non-profits use Indiegogo to raise money online. On Indiegogo, innovators and creators launch campaigns to bring products to life and make the impossible happen every day. The average amount raised on IndieGoGo is $3,700. Raised $223 million in 2014. Alexa traffic: 1,050. Quickey Multi-Tool raised over $200,000 after setting an initial goal of $4,000. Inkshares — They will publish an ebook and POD book if your book passes the crowdfunding pre-order test. You write; we publish. You agree to collaborate with our editorial team and provide us with a finished manuscript. Contingent on a successful crowdfunding campaign (i.e., one that meets or exceeds the pre-order threshold designated by Inkshares), we agree to print, publish, and sell your book. Kickstarter — Kickstarter is home for everything from films, games, and music to art, design, and technology. Kickstarter is full of projects, big and small, that are brought to life through the direct support of people like you. Since our launch in 2009, 9.3 million people have pledged more than $1.9 billion, funding 90,000 creative projects. Thousands of creative projects are raising funds on Kickstarter right now. They tend to okay so-called creative projects but not straight business projects. So this can be a great place to fund poetry, fiction, and children’s books but not as good for self-help or business titles. When you reach your goal, Kickstarter takes 5% plus 3 to 5% for payment processing. You get the rest. Over 70,000 projects have been successfully funded since 2009. They raised $444 million in 2014. Alexa traffic: 369. Amanda Palmer used Kickstarter to raise $1.2 million to make a new music album. Since then over 4,000 fans have pledged over $30,000 for any new thing she produces (via Patreon, see below). Kiva — Designed for people to give small loans (microfinance) to needy people in 83 countries around the world. Kiva was founded in 2005. Since then, 1.3 million lenders have made loans of $745 million with a 98.66% repayment rate. Alexa traffic: 12,904. Kiva Zip — Kiva Zip empowers small business owners with 0% interest loans, crowdfunded by a community of supporters. They have been responsible thus far for almost $13 million in loans funding 11,732 small businesses. Alexa traffic: 16,698 in May 2016. Krowdster — Motto: #1 Crowdfunding marketing platform for rewards and equity campaigns. Twitter marketing for $89 per month. Backer directory for $249 per month (top 2 million backers for Kickstarter and Indiegogo campaigns). Press releases for $199 each. Custom media lists at $59 per list. Influencer marketing at $39 per month. Content marketing at $39 per month. Alexa traffic: 145,477 in April 2016. 99funding — For raising capital: https://www.99funding.com/createissuer. Motto: Bringing democracy to venture capital. Alexa: 4,853,474. OneVest — Why raise funds on Onevest? We think access to capital should depend on your ideas and ability to execute, not your contacts. Onevest’s goal is to introduce vetted investors to company founders. They don’t get paid until you do. Alexa traffic: 127,327. Patch of Land — A crowdfunding platform for real estate. Get fast financing for your real estate project. A peer-to-peer real estate lending marketplace. Motto: building wealth, growing communities. Alexa traffic: 191,938. Patreon — Allows people to become patrons of the arts to support creators they love. You can support video, film, music, writing, comics, drawing, painting, animation, podcasts, games, photography, comedy, science, education, crafts, dance, and theater. It operates sort of like a membership site for those who love what you do. Alexa traffic: 462. Pledge Music — A crowdfunding website for musicians. Alexa traffic: 24,417. 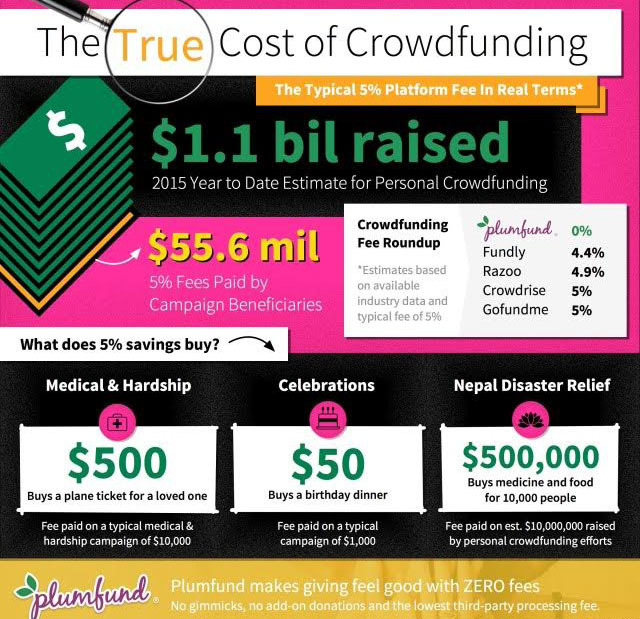 PlumFund — Motto: Free online crowdfunding for the people we love. Giving feels good. Raise funds for baby showers, birthdays, anniversaries, graduation, weddings, retirement, medical needs, travel, club teams, funerals, memorials, pets, charity, and more. No listing fee and low processing fees. Founded by the founders of Honeyfund, the #1 online wedding registry. Alexa traffic: 276,426 in April 2016. PodBean — Enables the crowdfunding of your podcasts. Alexa traffic: 2,608,219. Pozible — Pozible is an Australia-based crowdfunding platform and community-building tool for creative projects and ideas. It was developed to help people raise funds. With a 56% successful funding rate, Pozible has one of the highest success rates of any crowdfunding platform. Pozible takes 5% on funds raised up to $100k, 4% on funds raised from $100k-$500k and 3% on funds over $500K. Service providers take an additional 3-5% on all funds raised. Alexa traffic: 53,402. Prodigy Network — Motto: The leader in real estate crowdfunding. You can invest in Manhattan commercial real estate for as little as $20,000. With projects around the globe worth over $850 million, $300 million in equity raised from the crowd, and over 6,200 investors. Alexa traffic: 569,210. Publishizer — Publishing is now in your hands. All you need is a great book proposal. You can turn your publishing journey into a community experience. They charge a flat 5% campaign fee plus payment fees of 3.9% plus $.30 per transaction. 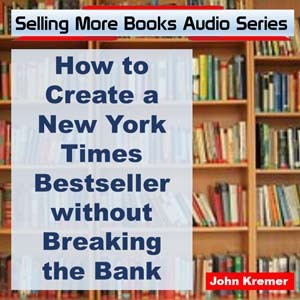 You keep full book rights, control over pricing, and have no upfront costs. As an option, Publishizer can send your proposal to 772 literary agents to help you find a publisher. 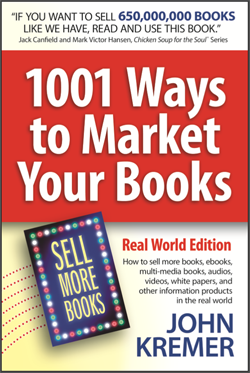 Readers have preordered $415,599 with 11,831 books sold in 122 campaigns to 5,789 readers. Alexa traffic: 570,965. Raised $29,230 with 895 copies sold for Mobile Ready by Scott Bales. Raised $23,727 with 441 copies sold for Entrepreneur’s Guide to the Lean Brand by Jeremiah Gardner. Raised $10,905 with 274 copies sold for Content Warfare by Ryan Hanley. Raised $3,519 with 114 copies sold for Absolute Beginners novel by S. J. Hooks. Raised $3,620 with 113 copies sold for Insanely Indian novel by Ayesha Raj. Ratafire — Ratafire is designed to be easily integrated with pre-existing sites such as Facebook or a blog, thus allowing artists to raise money for creative projects while also connecting with fans and fellow musicians. Ratafire is the first free to use on-going crowdfunding site that helps artists and researchers afford the time for creative freedom. Crowdfunding is like building a city, not just setting up a market place. Alexa traffic: 6,229,296. Razoo — A fundraising website for causes, divided by individuals, nonprofits, corporations, and foundations. Motto: a movement of people who want to make generosity a part of everyday life. They have raised over $400 million for 100,000 causes, including $100 million for 14,000 nonprofit groups. Alexa traffic: 81,956. Realty Mogul — Motto: Real estate crowdinvesting simplified. RealtyMogul.com is an online marketplace for real estate investing. For accredited and institutional investors, we connect you to a broad range of debt and equity real estate investments. For borrowers and sponsors, we provide debt and equity financing. They have 17,000 active accredited and institutional investors who have invested over $80 million in over 250 properties. Alexa traffic: 159,254. Rocket Hub — They support art, science, business, and social good. They have no upfront barriers to start, lower fees, and you keep the funds you raise. They also offer an opportunity for broad exposure via A&E cable network. Alexa traffic: 121,821. Seed & Spark — We are a supportive crowdfunding platform, meaning that we help you launch a campaign that has the best chance of success. We’re here for you every step of the way. We work with all film and film-related projects. We love genre films, web series, film festivals, and anything in service of getting films made and seen. Alexa traffic: 291,319. Seedrs — Seedrs makes it simple for you to buy into businesses you believe in and share in their success. . . . It is an online platform for discovering and investing in great startups. We make it possible for people to invest as much or as little as they like in the startups they choose through a simple, online process, and we let startup businesses raise seed capital seamlessly from friends, family, members of their communities and independent investors. Opening for US investors soon; now available only in Europe. Alexa traffic: 47,265. SellaBand — Where fans invest in music projects. Headquartered in Germany, so prices are listed in euros. Alexa traffic: 207,301. SliceBiz — A micro-investment crowdfunding platform to provide seed funding for startups in Africa. Headquartered in Ghana. Alexa traffic: 1,572,663. SmashFund — You need an invitation to join this social crowdfunding network. You can try it for free but then it costs $149 per month to maintain membership. it allows you to crowdfund for anything you want when you want. It has no time limits, no goal requirements, no percentage taken from contributions (other than Stripe processing fees). Alexa traffic: 461,389 in June 2016. Start Some Good — Motto: Dream big. Raise funds. Do good. StartSomeGood is a peerfunding platform for broadly-progressive social impact projects and organizations. While our focus is on social entrepreneurship as a vehicle for creating change we support all forms of changemaking: entrepreneurial, advocacy and activism, community organizing, research and information provision and inspiration. To approve a campaign, they require an original video, at least 3 rewards, a clear description of your project and funding goals, and a method to collect donations (Paypal or WePay for U.S. or eWay for Australia). Alexa traffic: 206,149. Good knows no boundaries, so we welcome ventures from all over the world. We support all types of organisations: for-profits, non-profits, individuals and everything in between. We support once-off projects as well as ongoing ventures, and you’re welcome to launch additional projects in the future as your venture grows. Only ventures that meet our criteria can raise funds on StartSomeGood, which enhances credibility and trust for all involved. All ventures receive personalized support from a member of our team in crafting a shareable, compelling project page. Our unique “tipping point” model is designed for social ventures. It offers assurance to backers that you’ve raised enough money to really get something done (unlike a pure ‘keep what you raise’ model) and allows you to aim high without risking losing it all (unlike an ‘all or nothing’ model). Thrill Pledge — A fundraising platform for arts, music, and sports, including at least one children’s book. Based in New Zealand. Remember your project should fit within the following categories offered on ThrillPledge: Sports, Music, The Arts, Film & Video, Games & Apps and Publishing. Alexa traffic: 9,509,408 (a relatively new site). Thrinacia — Thrinacia is a crowdfunding engine, a turnkey software solution that can be used by anyone to run their own crowdfunding website. You could be running your own crowdfunding website within minutes. Alexa traffic: 1,195,064. Thunderclap — This crowd platform is not for raising money but for raising awareness via contributor tweets, Facebook posts, and Tumblr posts. Thunderclap is the first crowd-speaking platform that helps people be heard by saying something together. If you reach your supporter goal, Thunderclap will blast out a timed Twitter, Facebook, or Tumblr post from all your supporters, creating a wave of attention. Alexa traffic: 26,890. Tilt — Since 2012, over 300,000 groups have used Tilt to turn their ideas, large and small, into reality. Our users have done a lot to make us proud, from thousands of tailgates, fantasy football leagues, and party buses all the way to sending the Jamaican Bobsled Team to the Sochi Olympics, fundraising the construction of an entire elementary school in India, bringing the Foo Fighters to perform in a small town, and everything in between. Fundraisers on average collect 192% of their goal. A mobile friendly crowdfunding site. Alexa traffic: 43,955. TubeStart — Tubestart is a lot more than just a crowdfunding platform. Tubestart is a content and audience development solution for digital video creators and filmmakers. We offer innovative tools like Hands Free Reward Fulfillment, Sponsored Rewards, Co-Funding and the best hands-on support to help make your crowdfunding project a success. Alexa traffic: 653,927. Unglue.it — Uses a crowdfunding model to pay authors/publishers for the right to set books free, so that others can download the books for free. Alexa traffic: 945,200. Launched in May, the Unglue.it platform uses crowdfunding—pooled contributions of varying amounts solicited from the general public—to purchase the release of existing works as free, device-agnostic e-books, a process the platform has dubbed “ungluing. What if you could give a book to everyone on earth? Get an ebook and read it on any device, in any format, forever? Give an ebook to your library, for them to share? Own DRM-free ebooks, legally? Read free ebooks, and know their creators had been fairly paid? At Unglue.it, you can reward creators that have set their books free, via Creative Commons licenses. You can buy books that WANT to be free, but need funding to get there. You can pledge toward creating free ebooks from print books. Traditionally published books are stuck: legal restrictions keep you from being able to enjoy and share them. Unglue.it gets them unstuck. Authors and publishers decide what amount lets them freely share their books with the world while still making a living. We raise that fee here through crowdfunding: people like you chipping in. When campaigns succeed, authors and publishers get paid, and you get a free ebook. Upspringer — Upspringer was born with the idea of bringing a new spark to the publishing world, and create a community of book-lovers where supporters and creators could meet, and bring creative projects to life. We wanted readers and literature fans to be able to be part of the publishing chain right from the start, and now they can! Alexa traffic: 1,588,034. Upspringer is the first international crowdfunding platform dedicated to the literary world. Through Upspringer you can support projects you love, or create your own campaign to raise the funds you need and watch your dream come to life. Authors can find the funds to self-publish their book, entrepreneurs can raise money to open the bookstore they have always dreamed about, people from all around the world can collect donations from friends and family to go study creative writing abroad… basically as long as you have a publishing/writing/reading project in mind, Upspringer is the platform for you. VentureCrowd — This Australian crowdfunding platform enables investors to access a diverse set of asset classes. VentureCrowd provides unique access to a new asset class – early stage securities. While traditional crowd funding models typically provide investors with a future reward or product from a business in exchange for cash, VentureCrowd allows investors to exchange cash for an equity interest in their chosen business. Alexa traffic: 1,312,263. Virgin Money Giving — Allows you to raise money for the charitable cause you like. The money you raise can go to up to five nominated charities, not just one. 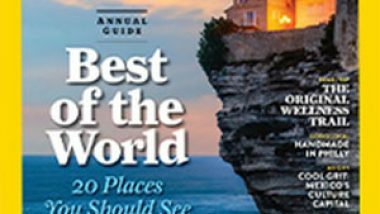 Their event marketing toolkit has downloadable images, text, social media updates, flyers and more to promote your event. Alexa traffic: 55,942. Patrick Ness raised over $769,000 via Virgin Money Giving for Save the Children to help the children of Syrian refuges in Europe. We Funder — We help everyone invest in startups. It’s like Kickstarter, but with equity. You can help ideas get off the ground. 45,885 investors have funded 91 startups with over $13 million. Alexa traffic: 573,887. You Caring — Compassionate crowdfunding for charity, nonprofits, schools, adoption, mission trips, veterans, tuition, emergencies, and more. YouCaring is a free crowdfunding platform that empowers people to help others overcome hardships and enjoy happier, healthier lives. Alexa traffic: 10,258. Note: Alexa traffic for the above listings was measured in August and September 2015. For some key tips on how to create and run a successful crowdfunding campaign, click here: http://bookmarketingbestsellers.com/11-keys-to-crowdfunding-success. This is awesome John! Thanks for the ideas and summaries. Great resource, thanks for sharing this. I suggest you to take a look at what we have created with FundraisingScript (www.fundraisingscript.com). We give the possibility to the people to create their own white label based crowdfunding platform in few minutes. Hey John -thanks for coming up with a great resource of crowdfunding sites to help our startup businesses. Most often than not we fail to realize we can also crowdfund on our own website. You can actually host the pages yourself if you have a wordpress site you can try the fundify theme or better yet if you are really short of funds you can also try setting free blogs, either blogger or wordpress and setup something like https://www.thrinacia.com/reach which is a free crowdfund widget tool to help you collect funding from your stripe account. Again thanks for a great post!